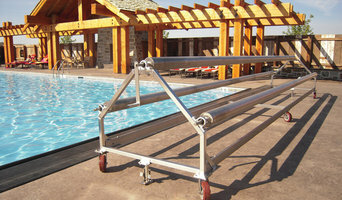 Aqua Creek Products has been manufacturing quality aquatic access equipment since 2002. Committed to superior customer service and uncompromising quality; we take pride in every product we build. Our lifts are hand crafted with pride right here in the USA. 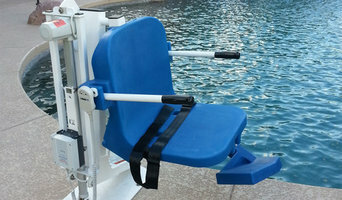 As one of the premier manufacturers of pool and spa lifts, we offer 16 different models. Many of these lift models are ADA compliant and third party verified by Wyle Labs. Our ADA compliant pool & spa lifts are ideal for both commercial and residential use. Aqua Creek also offers several aquatic training and exercise equipment options. Our versatile products can be used for beginning swimmers and aqua therapy patients’ alike. We have versatile solutions for individuals recovering from surgery or for those looking for a low impact way to get fit. We also offer pool and shower access wheelchairs, pool access steps and a comprehensive line of beach access chairs. We are constantly evolving and changing; pushing the envelope as we improve quality, features and performance of our products. Whether it is ADA pool & spa access or our new line of aquatic therapy and exercise equipment, Aqua Creek has a solution for you! Spectrum Aquatics designs and manufactures high-quality custom rails, ADA pool and spa lifts and commercial-grade pool deck equipment. Spectrum has great products, skilled employees, knowledgeable engineers, and an excellent customer service and sales staff. Spectrum Aquatics strives to consistently exceed expectations and to be the total solution provider for our customers. From inquiry to installation, Spectrum Aquatics is here for our customers and the Aquatics community. What exactly do Victor pool builders do? If you are planning for a new pool in Victor, MT, a swimming pool builder will analyze your outdoor space and your aesthetic wishes to determine an appropriate design for your yard, installing it once the plan is developed and approved. Once installed, some pool companies in Victor, MT can handle the necessary cleanings, water testing, renovations and equipment replacement or repairs for your pool or spa. If not, many can also suggest Victor, MT swimming pool contractors or maintenance services to help with upkeep or repairs down the road. Here are some related professionals and vendors to complement the work of swimming pool builders: Garden & Landscape Supplies, Landscape Architects & Landscape Designers, General Contractors, Landscape Contractors, Solar Energy Contractors. Before hiring a swimming pool construction company to create your new Victor, MT pool, determine how you'll be using it. Will it be for fun or for lap exercise? Will the primary users be children, adults or a mix of the two? Knowing the use can help you find Victor pool builders who shares your aesthetic. Once you find swimming pool builders in Victor, MT who share your style, research is critical. Review customer references and comments, collect at least three to four estimates to compare, meet with potential Victor pool designers and builders in person and ensure that they are Montana certified service professionals and licensed with the registrar of contractors before making any final decisions. In addition, get a sense whether they plan to complete the pool installation and be done with it, or whether they seem interested in building a long-term relationship with you. Be wary of the former: it's likely a reflection on the level of quality of the pool construction they do. Find a Victor pool contractor or designer on Houzz. 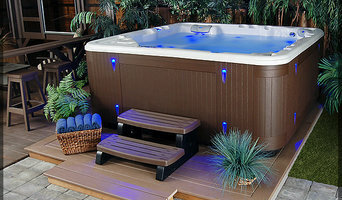 Narrow your search in the Professionals section of the website to pool builders in Victor, MT. You can also look through Victor, MT photos by style to find a pool or spa you like, then contact the local pool company who designed it.